Crinum have 15-20 large flowers on thick stems. Extremely long-lived bulb establishing massive colonies over time. 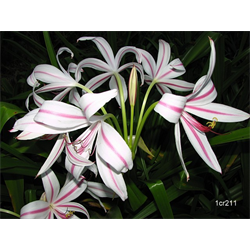 Pricing is per each and per variety for crinum bulbs (quantity discounts apply).